Visitors have accessed this post 11600 times. 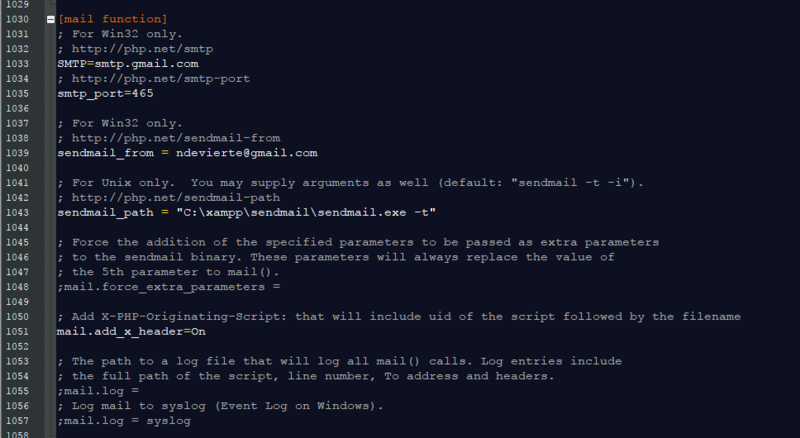 This tutorial will teach you on how to send email/verification email in PHP/MySQLi using mail() function. The function will both work in local server(ex. XAMMP) or hosted server(online) but in case you wanted to send email via the local server, you need to modify your local server to allow it to send email. In my case, I'm using XAMMP, so, I'm going to show you how to set up your XAMMP to send email. 1. Open php.ini in C:\xampp\php\php.ini. 2. Find extension=php_openssl.dll and remove the semicolon from the beginning of that line. Lastly. make sure to turn this on to allow XAMMP to send email to your email. Use this link. And you're done. 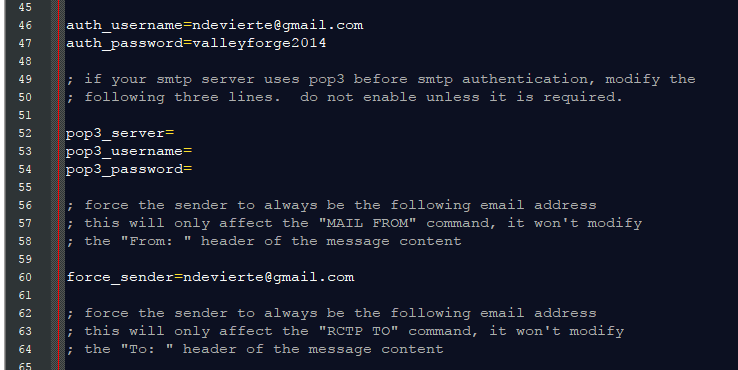 Restart XAMMP and you should now be able to send email using your XAMMP. To test if your XAMMP is working, here's our example. We will create a registration with verification email. NOTE: Scripts and CSS used in this tutorial are hosted, so, you might need internet connection for them to work. First step is to create our database. 2. Click databases, create a database and name it as sample. 3. After creating a database, click the SQL and paste the below codes. See image below for detailed instruction. Next, we create our connection to our database. This will serve as the bridge between our forms and database. We name this as conn.php. This contains our login form but you can access a link here if you want to sign up. This is our sign up form. This contains our signup code as well as our send verification email code. $headers .= "From: <a href="mailto:[email protected]" rel="nofollow">webmaster@sourcecodester.com</a>". "\r\n" . The goto page from registered email. This is our verification page. Our login code that will check if the user has successfully sign up and verified its account. This page will show if the user that login is verified. Lastly, our logout that will destroy our login session.